So i don't know why, and one of your agent told me already he passed the question to the tecnical section. But please send me NOW all the submitted answer in PDF, as a whole PDF with more page, of all the submissions to my form. I really need it as soon as possible and impossible. 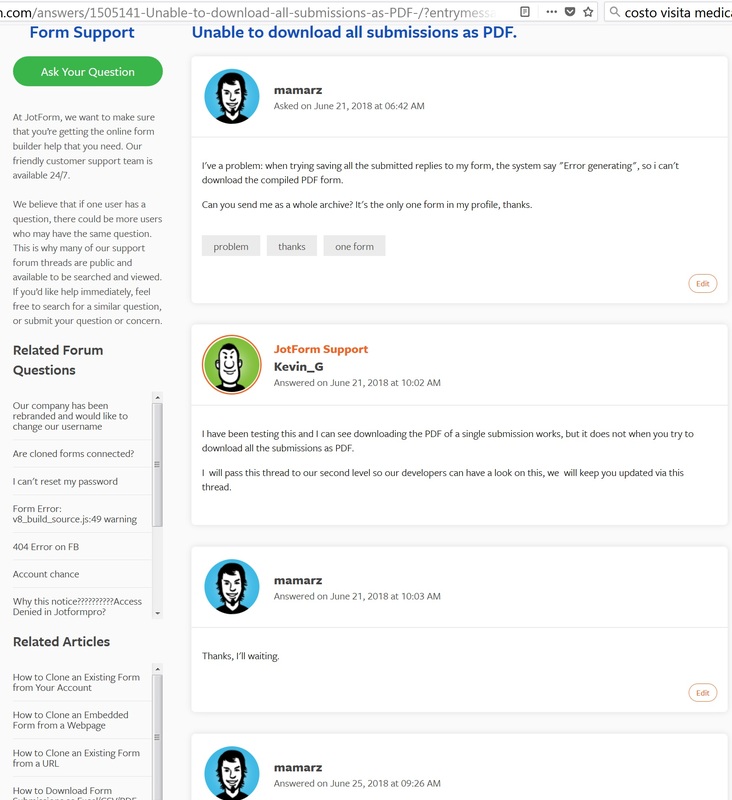 I checked the thread (https://www.jotform.com/answers/1505141) and it is already assigned to our developer. They are now investigating the issue and the priority of the issue is set to "very important". We will let you know on that thread (https://www.jotform.com/answers/1505141) once we have any updates.